The threat of use, or misuse, of nuclear weapons is real and the consequences of such an event will be catastrophic, the Vienna Conference on the Humanitarian Impact of Nuclear Weapons warned. The two-day conference, which ended on December 9, 2014 in the Austrian capital, sought to draw global attention to the impact of nuclear weapons on health, environment, agriculture and food security, migration and economy, among others. High-ranking officials from 158 countries and representatives of civil society organizations attended the conference. According to ican (international campaign to abolish nuclear weapons), there are about 16,400 nuclear weapons in the world – all of them in the hands of nine countries. These are: US (7,315 warheads), Russia (8,000), the UK (225), France (300), China (250), India (90-110), Pakistan (100-120), Israel (80), and North Korea (10). Worryingly, more countries aspire to a membership in the ‘nuclear club’, which could trigger an arms race in future. Austrian Foreign Minister Sebastian Kurz said that nuclear catastrophies have disastrous effects “where nobody wins and everybody loses”. He added that nuclear weapons have no place in today’s world. Adam Scheinman, special US representative for nuclear nonproliferation, said the US “does not support efforts to move to a nuclear weapons convention, a ban, or a fixed timetable for elimination of all nuclear weapons”. “We believe that a practical, step-wise approach to the pursuit of nuclear disarmament is the most effective means to reduce nuclear dangers and advance the NPT (nuclear non-proliferation treaty),” said Scheinman. The US and Russia are believed to maintain some 1,800 of their nuclear weapons on high-alert status – ready to be launched within minutes of a warning. “Most are many times more powerful than the atomic bombs dropped on Japan in 1945. A single nuclear warhead, if detonated on a large city, could kill millions of people, with the effects persisting for decades,” says ican. Calling for total abolition of nuclear weapons, Swedish foreign minister Margot Wallström said that a single nuclear weapon explosion would have appalling humanitarian consequences. 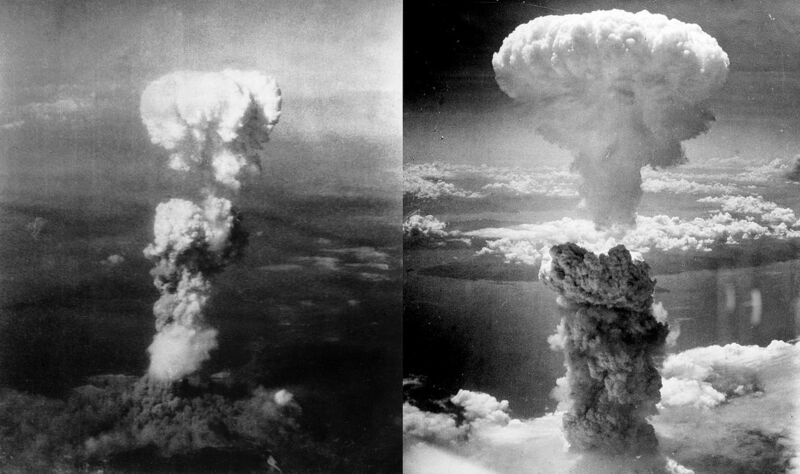 “Next year, 70 years will have passed since a single nuclear weapon killed 90 000 people in Hiroshima and levelled the city with the ground. Humanity must never forget this. The 2 000 nuclear tests that have taken place around the world have poisoned land and water for many years to come,” she said in a statement.